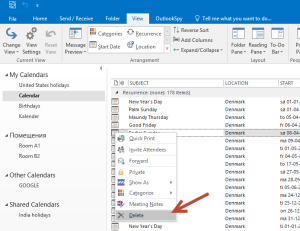 Add holidays to your Outlook calendar. 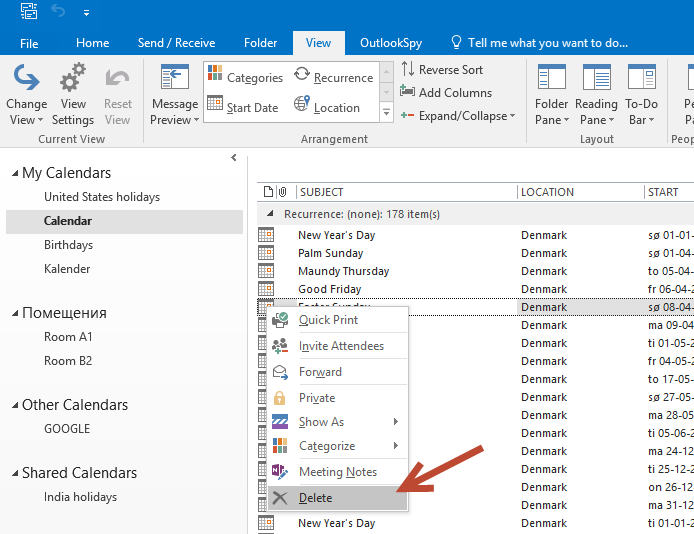 Do you use Outlook calendar to keep track of important meetings, events and birthdays, but you’re missing the opportunity to see holidays? 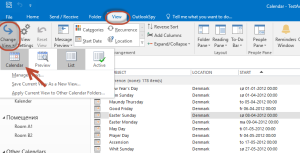 Every version of Outlook includes holidays that you can add to your Outlook calendar. 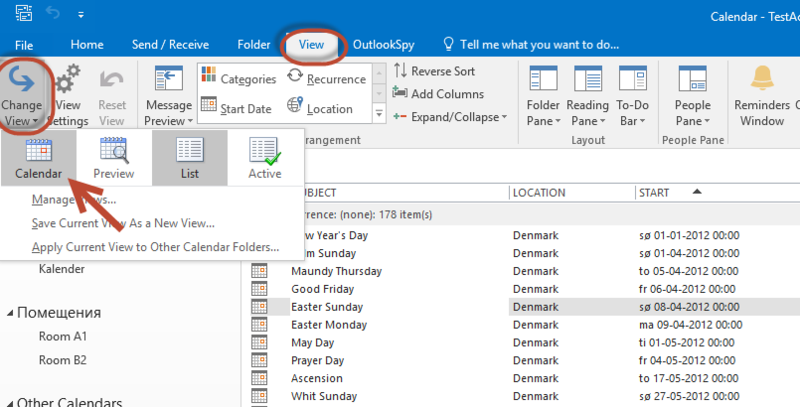 The first time you start Outlook, there are no holidays, but you have the ability to add holidays from several different countries. 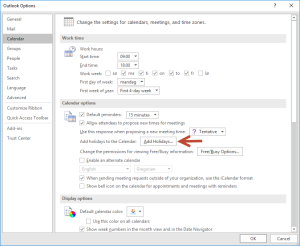 Chose Calendar and click Add holidays. 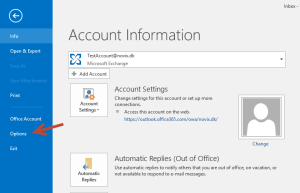 Check the box for each country and region you want to add to your calendar and press OK.. Note: If a country or region’s holidays already is added to your calendar, there will be check mark next to the country. 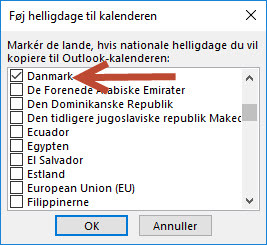 If you click OK and mistakenly add the same country or region again, you will see double holidays in your calendar. 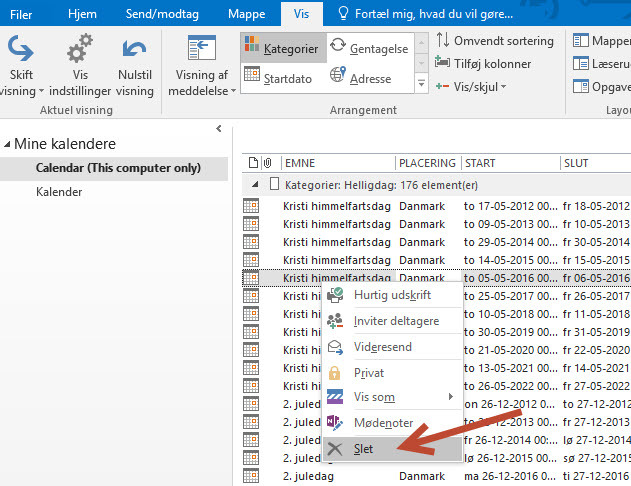 Fortunately, help is near, see below how to delete holidays and duplicates. 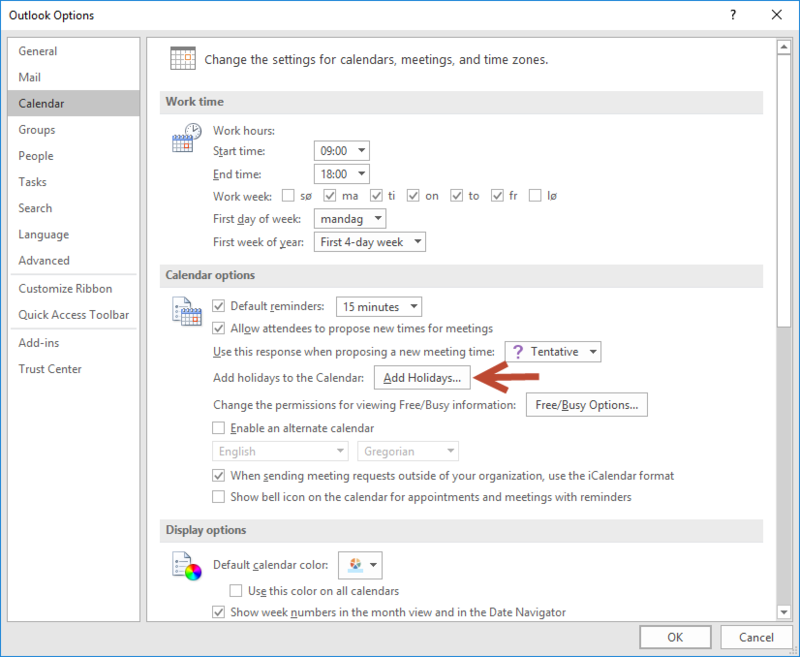 Tips: If you often plan conference calls with colleagues abroad, it is a great help to have added the respective colleagues holidays in your calendar, that way you avoid booking conference call when they are on holiday. Sort and delete all entries from a specific date. Sort and delete all items from a category. Go to Calendar, click Show > Change view > list. Select the holidays you want to delete, Right click and chose delete. 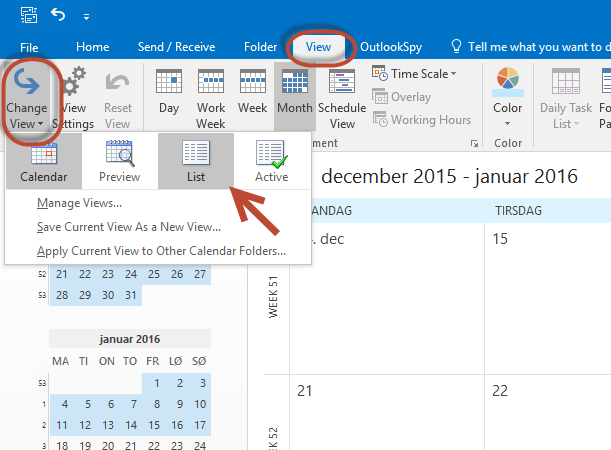 To return to the calendar display, click View > Change view > Calendar. 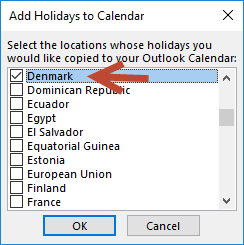 Tip: You can choose to delete all holidays if you accidentally added a country or region several times. 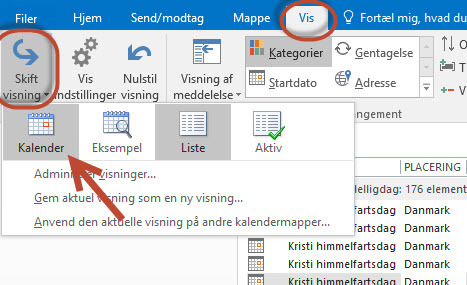 First you need to sort all item after Categories and then right-click on the category Holidays as shown in the video and click delete, now add holidays again for the countries you need. 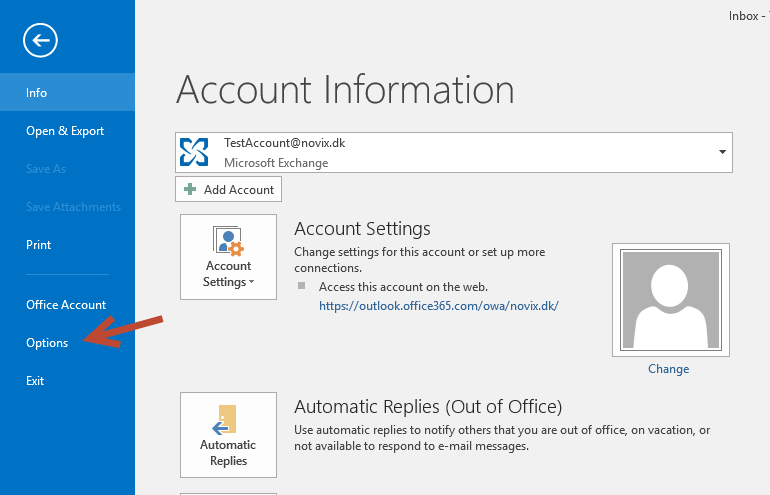 We produce software for Outlook. As a Danish company time is an essential factor and high quality is a requirement.